Use our low cost leasing merge solution to prepare your customised lease instantly for your retail shop. Our leases are reliable, easy to use and compliant. 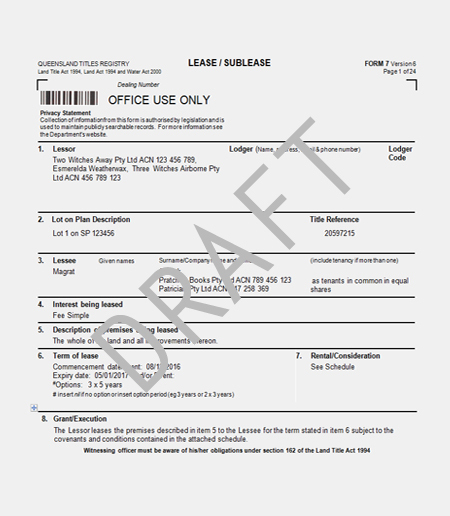 Lease template crafted by leasing lawyers. Leasing templates up to date. 24/7 access to online leasing merger. Get a quote on a tailored lease specifically for your situation. This lease is suitable for retail shops in Queensland only.